Goal: 100 Positive Comments in 100 Days. For a full list of previous issues, go to: "Blogging Bliss Newsletter Archives"
Get Blogging Bliss automatically each month. 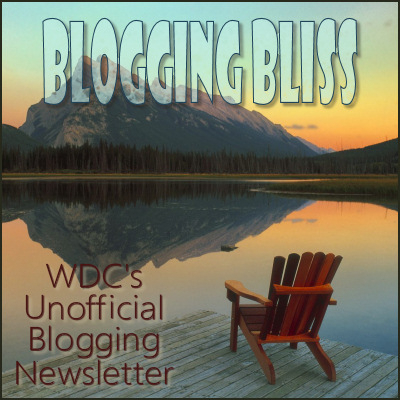 Subscribe at: "Blogging Bliss NL Subscription Request"
This issue is rated ASR per WDC's "Content Rating System (CRS)"
NOTE: Items linked in this newsletter may be of a higher rating. This month we are featuring another great article from a blogger, writer, and WDC activist who lives south of the equator - Elle - away camping. The topic: getting kids involved in blogging. Whether it's your own or grandkids or the loud rowdies next door that you want to quiet down, she has great advice to getting them interested and involved in writing. We all can share this with growing minds so they can experience the satisfaction of blogging. Don't stop after this month's Feature. Make sure to check out our Editor's Picks, and be sure to welcome new and returning bloggers with a comment after reading. There's also good blogs being posted on the The Blog Board , so mark that as a Favorite so you get notifications. Remember to post your best entries there, too. Big news down in Blogging News as milestones are happening. And there's two new activities listed in Blogging Events that all bloggers can get involved with to expand their entries or try something new. They're bound to be great fun and will give everyone more reasons to write, write, blog! Thanks again to Elle - away camping for providing the Feature, and remember that you can be published in the Blogging Bliss Newsletter . Drop me a line or a topic suggestion for a future feature at Blogging Bliss Newsletter Forum . Now head on down the page, then . . . Whether you want to encourage your child to write more regularly, or your child wants a blog just like mum/mom/dad has, there is no one better to guide your child than you. To help with that, here are some general principles and guidelines that could help you and your child get the most out of the blogging experience. Children live in the moment. Don't expect serious philosophical discussions about the rights and wrongs in the world, don't expect them to critically review past events and decisions, and don't expect too much future forecasting beyond 'What I want to be when I grow up'. What you can expect is to hear about school, friends, siblings, parents, pets, etc, as they stand now. Children live in the moment, and that moment is what will be recorded. They are more likely to write about what they did that day than anything in the past, even the recent past. So expect their blog to be most like a journal and find a time later in the day when they can reflect but before their energy levels are completely depleted. Children love to keep secrets. Whereas most adult bloggers want to connect with their audience, children already have a large number of social outlets. They're also more likely to be honest and candid if they think their parents, and perhaps many or all others, won't read it. What they consider a secret might seem pitiful to you and I - which guy/girl they think is cute, how many cookies they snitched, or what they really think of that awful maths teacher - but to them they are important. As time goes by, they're likely to let you have access to those secrets. Sometimes secrets don't even last a week, but the idea of being able to write without anyone reading it provides a sense of freedom. Also, to a kid, secrets are just plain fun. So , provide the option of making any entry or the blog public, limited access, or private. A blank page is intimidating. Sometimes children will be bursting with news that must be told immediately, but not always. Often, when they sit down to write, they are stumped by the sheer number of possibilities that lie before them. You need to be able to help stimulate and relax them. One way is with simple prompts since they are ideal for children. Don't be too specific. Ideally, always use open ended questions or statements. Instead of 'Do you like school?' where the answer is yes or no, phrase the prompt as 'Tell me what you like about school' or 'Tell me what you don't like about school'. Provide two or three prompts to allow them to choose the one that most appeals. Don't be afraid to repeat and recycle. Kids actually like repetition, but will rarely write exactly the same answer each time, so repeating prompts is definitely okay. Children have short attention spans. Never set a minimum word count or entry length. If all you get is one sentence, just deal with it. Any writing is better than no writing, and turning it into a chore will entirely and utterly defeat the purpose. Kids don't like chores. Set time aside to blog but be flexible. Setting a required amount of time to write can defeat the purpose. Also, children respond well to making lists, so 'Tell me three things you like about visiting Grandma' works well, as does 'If you could have five wishes, what would they be?' Never make the numbers too high. You could always make it clear that they can do more if they get inspired. Different children use different methods to compose. Some will love the medium of typing their entries straight into a computer. Some will prefer the traditional pen-and-paper journal method. Yet others would rather dictate their entry to their parent, because they simply can't sit still long enough to write the whole thing themselves or typing may be stressful or distracting from their thoughts. Find the one that works best. Also consider video blog entries if those are possible. Video blogs are more common than you might realize, and even if it's not technically writing, you'll still find those memories are precious to look back on in years to come. A video blog may become a written blog further down the track, or your child may be able to pick and choose each day whether to write or video, depending on their mood. The internet can be a dangerous place. In addition to how much personal information goes into a blog, be very careful who has access to the blog's entries, and who has the ability to comment on them. Use passwords and be very careful who you give them to. Writing.com allows the use of passkeys on specific blog entries. Some sites will allow you to restrict access to specific usernames only. If you are using passwords to a site or blog, don't tell the child what they are so they can't share them indiscriminately. Retain control over the access of the blog at all times. Only you should make decisions when it comes to access. Just remember to make it fun, and your child will be blogging on their own in no time and, who knows, might even surpass the parent. Please note that some blogs are restricted to Upgraded Authors and higher. Here's a blog from the Internet. We'd like to welcome the new bloggers, old bloggers starting a new blog, and blogging restarting their entries in old blogs after a break. Please note the rating on each blog. rjsimonson with blog "Invalid Item"
RedButterfly with blog "Invalid Item"
Tammy with blog "Invalid Item"
Zoey Rae with blog "Invalid Item"
♥ Jbradford is writing ♥ with blog "Invalid Item"
Renee Zarek with blog "Invalid Item"
Rhychus with blog "Invalid Item"
Take some time and check out all of them. Blog City ~ Every Blogger's Paradise residents also placed Third in the recent WDC Game of Thrones. Three cheers! A place for BCOF members to hang out and chat! "Invalid Item" by ~NightOwl~ has a different type of prompt that every blogger should give a try and only requires once a week entries. Plus great prizes. Starts August 2 so hurry over and sign up. "Three Daily Beams of Positivity" by Fran 🏅🇬🇧🇬🇧🏅 works well for a blog and is a great way to raise your attitude. "Welcome To My Reality Forum" Rhonda provides prompts for the week to help get you and your life events down. "Blog Harbor from The Talent Pond" Sail in with Jeff to even more blog prompts and fun. 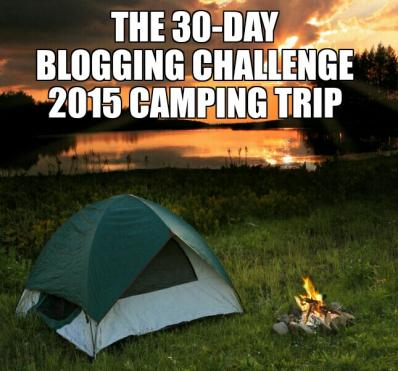 "30 Day Image Prompt Contest - CLOSED" by Cinn is not just for blog entries, but bloggers can enter using their blogs. Other bloggers are doing it, so why not try it? Secret blog entries are hidden from those who don't know the mystery code, or in the WDC case, the passkey. Everyone knows you can passkey your blog or any item on WDC. But every entry can have its own passkey. Intrigued? Interested? Already know how? On the input area for the blog entry, just below the "Entry Title:" input box is a line with input for restricting access and "Passkey: Optional. "Why use this?" you may wonder. Many reasons. Maybe it's a draft or someone is helping you or you have a kid writing it and it needs limiting more than the blog itself or the type of WDC user. It may be secret instructions to a covert group of writers who are planning to be published. Or you're just making it a mind game with readers to see who will email you and ask to be let in. Nah. No one would do that. Are you editor material or would you just like to help with the Blogging Bliss? We're looking for editors and guest writers. As part of the staff, you get all the pleasure out of bringing to readers great blogs you've read, spectacular ideas you have about blogging, and magnificent news from blogging activities all the while improving your writing craft beyond just putting words on a page. And it's a lot of fun. Please let me, Wordsmitty ✍️ or one of the other editors listed at the top know, and you too could see your byline distributed across WDC. Do you have a question or a topic about blogging? We'd like to hear your feedback and comments on our newsletter. It's very important to us to know what you think. Plus you may get your blog featured in a future newsletter. To read the blogs of WDC members, please go to: Official Blog Page . If you have a blog entry that you'd like to promote, whether it's yours or someone else's please visit: "The Blog Board" (may also be accessed under Things to Do and Read). LOOKING FOR GUEST WRITERS: If you think that you'd like to be a guest writer for our newsletter, please let us know because we're looking for YOU. Please contact: Wordsmitty ✍️ or any of the editors listed at the beginning. WE HOPE YOU ENJOYED THIS MONTH'S ISSUE. We thank you for your readership and we'll see you next month. © Copyright 2015 Wordsmitty ✍️ (wordsmitty at Writing.Com). All rights reserved. Generated in 2.48 seconds at 12:33pm on Apr 20, 2019 via server S30.